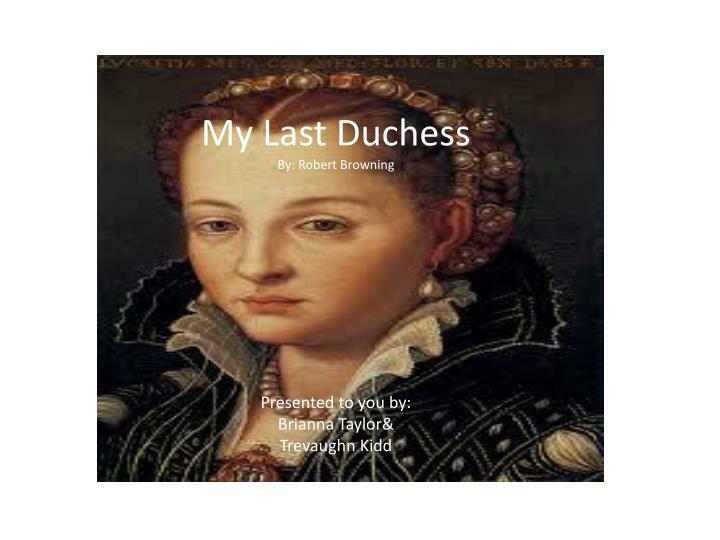 My Last Duchess By: Robert Browning Presented to you by: Brianna Taylor& Trevaughn Kidd . 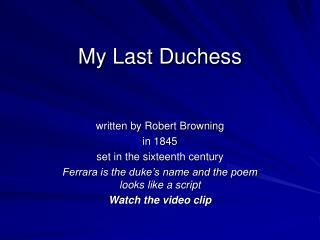 My Last Duchess By: Robert Browning Robert Browning was one of the famous poets of the 19th century (Victorian period). 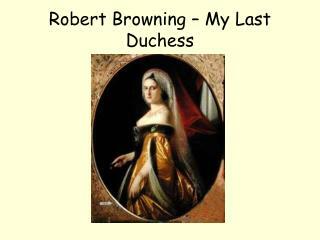 He's particularly well-known for his early monologue, "My Last Duchess.". 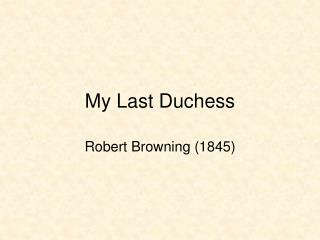 My Last DuchessBy: Robert BrowningRobert Browning was one of the famous poets of the 19th century (Victorian period). 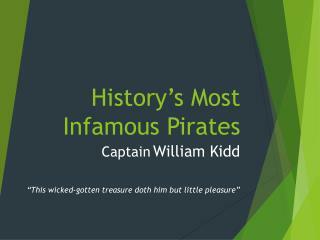 He's particularly well-known for his early monologue, "My Last Duchess." Historical Background: This poem, set in the sixteenth century in a castle in northern Italy, is based on events from the life of the duke of Ferrara, a nobleman whose first wife died after just three years of marriage. Following his wife’s death, the duke began making arrangements to remarry. 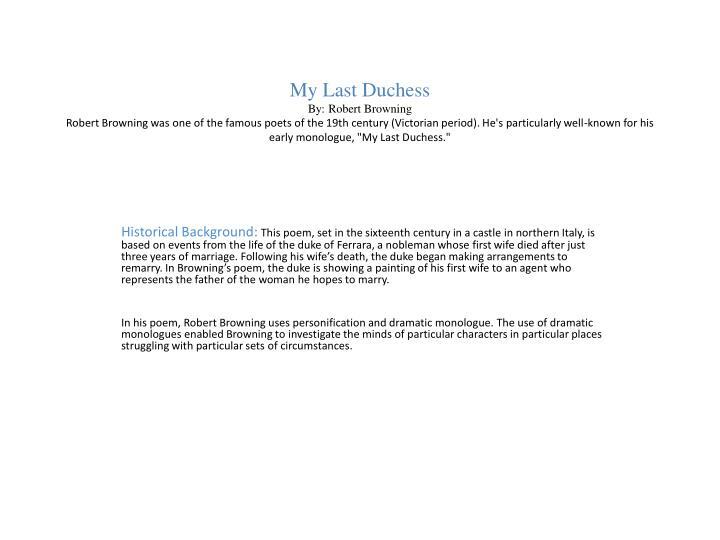 In Browning’s poem, the duke is showing a painting of his first wife to an agent who represents the father of the woman he hopes to marry. 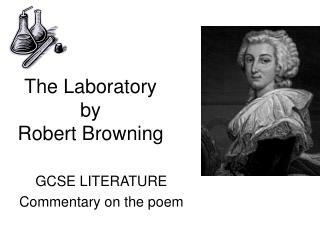 In his poem, Robert Browning uses personification and dramatic monologue.The use of dramatic monologues enabled Browning to investigate the minds of particular characters in particular places struggling with particular sets of circumstances. 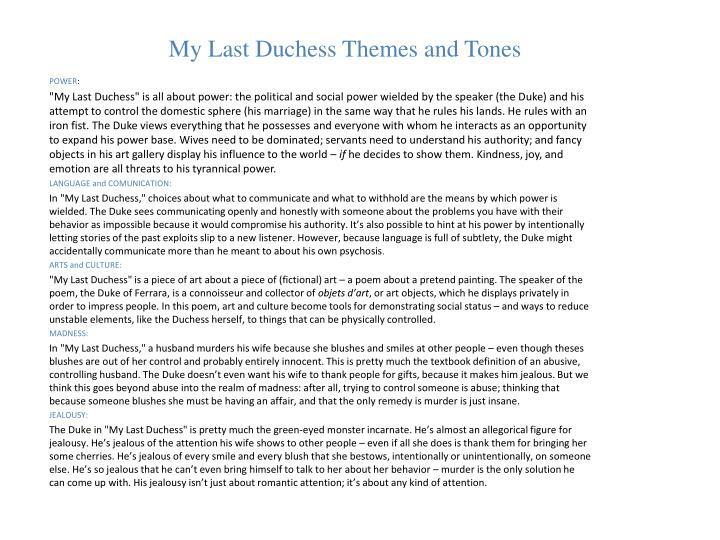 "My Last Duchess" is all about power: the political and social power wielded by the speaker (the Duke) and his attempt to control the domestic sphere (his marriage) in the same way that he rules his lands. 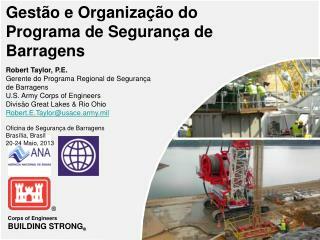 He rules with an iron fist. The Duke views everything that he possesses and everyone with whom he interacts as an opportunity to expand his power base. Wives need to be dominated; servants need to understand his authority; and fancy objects in his art gallery display his influence to the world – if he decides to show them. Kindness, joy, and emotion are all threats to his tyrannical power. 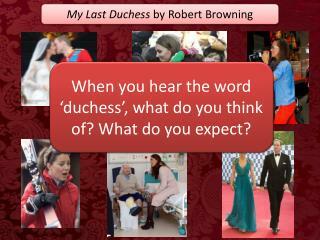 In "My Last Duchess," choices about what to communicate and what to withhold are the means by which power is wielded. The Duke sees communicating openly and honestly with someone about the problems you have with their behavior as impossible because it would compromise his authority. It’s also possible to hint at his power by intentionally letting stories of the past exploits slip to a new listener. However, because language is full of subtlety, the Duke might accidentally communicate more than he meant to about his own psychosis. 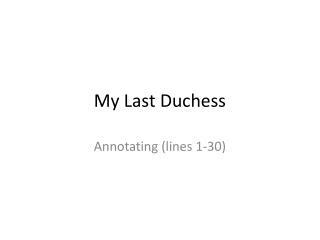 "My Last Duchess" is a piece of art about a piece of (fictional) art – a poem about a pretend painting. The speaker of the poem, the Duke of Ferrara, is a connoisseur and collector of objets d’art, or art objects, which he displays privately in order to impress people. In this poem, art and culture become tools for demonstrating social status – and ways to reduce unstable elements, like the Duchess herself, to things that can be physically controlled. In "My Last Duchess," a husband murders his wife because she blushes and smiles at other people – even though theses blushes are out of her control and probably entirely innocent. This is pretty much the textbook definition of an abusive, controlling husband. The Duke doesn’t even want his wife to thank people for gifts, because it makes him jealous. But we think this goes beyond abuse into the realm of madness: after all, trying to control someone is abuse; thinking that because someone blushes she must be having an affair, and that the only remedy is murder is just insane. The Duke in "My Last Duchess" is pretty much the green-eyed monster incarnate. He’s almost an allegorical figure for jealousy. He’s jealous of the attention his wife shows to other people – even if all she does is thank them for bringing her some cherries. He’s jealous of every smile and every blush that she bestows, intentionally or unintentionally, on someone else. He’s so jealous that he can’t even bring himself to talk to her about her behavior – murder is the only solution he can come up with. His jealousy isn’t just about romantic attention; it’s about any kind of attention. 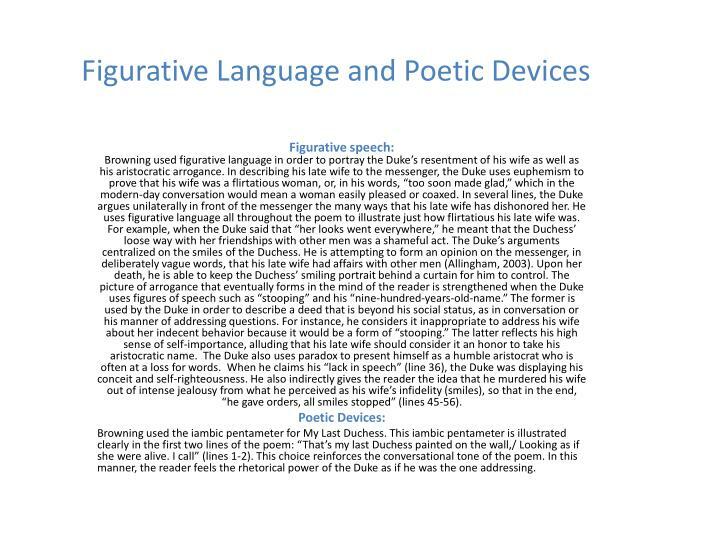 Figurative speech:Browning used figurative language in order to portray the Duke’s resentment of his wife as well as his aristocratic arrogance. In describing his late wife to the messenger, the Duke uses euphemism to prove that his wife was a flirtatious woman, or, in his words, “too soon made glad,” which in the modern-day conversation would mean a woman easily pleased or coaxed. In several lines, the Duke argues unilaterally in front of the messenger the many ways that his late wife has dishonored her. 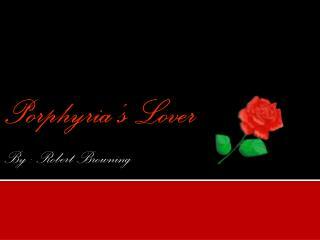 He uses figurative language all throughout the poem to illustrate just how flirtatious his late wife was. For example, when the Duke said that “her looks went everywhere,” he meant that the Duchess’ loose way with her friendships with other men was a shameful act. The Duke’s arguments centralized on the smiles of the Duchess. He is attempting to form an opinion on the messenger, in deliberately vague words, that his late wife had affairs with other men (Allingham, 2003). Upon her death, he is able to keep the Duchess’ smiling portrait behind a curtain for him to control. The picture of arrogance that eventually forms in the mind of the reader is strengthened when the Duke uses figures of speech such as “stooping” and his “nine-hundred-years-old-name.” The former is used by the Duke in order to describe a deed that is beyond his social status, as in conversation or his manner of addressing questions. For instance, he considers it inappropriate to address his wife about her indecent behavior because it would be a form of “stooping.” The latter reflects his high sense of self-importance, alluding that his late wife should consider it an honor to take his aristocratic name. The Duke also uses paradox to present himself as a humble aristocrat who is often at a loss for words. When he claims his “lack in speech” (line 36), the Duke was displaying his conceit and self-righteousness. 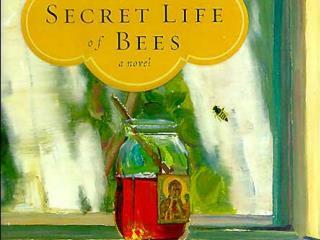 He also indirectly gives the reader the idea that he murdered his wife out of intense jealousy from what he perceived as his wife’s infidelity (smiles), so that in the end, “he gave orders, all smiles stopped” (lines 45-56). 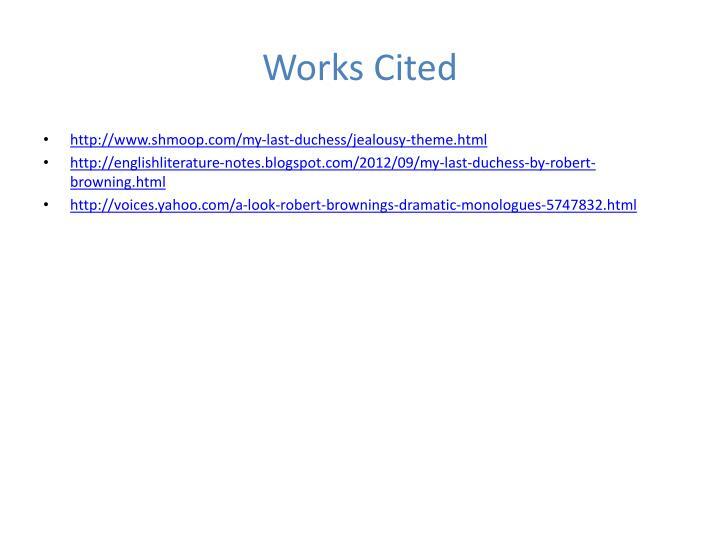 Browning used the iambic pentameter for My Last Duchess. 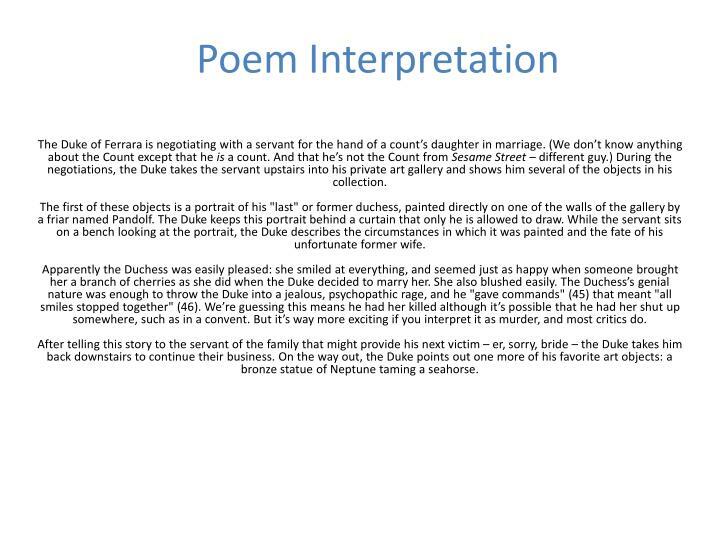 This iambic pentameter is illustrated clearly in the first two lines of the poem: “That’s my last Duchess painted on the wall,/ Looking as if she were alive. 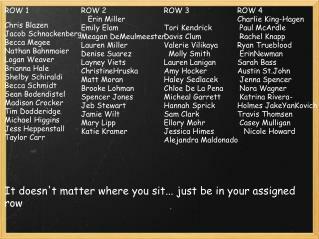 I call” (lines 1-2). 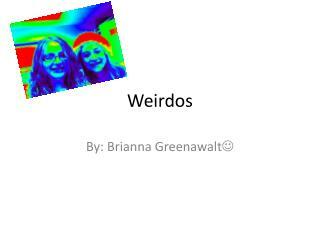 This choice reinforces the conversational tone of the poem. In this manner, the reader feels the rhetorical power of the Duke as if he was the one addressing. The Duke of Ferrara is negotiating with a servant for the hand of a count’s daughter in marriage. (We don’t know anything about the Count except that he is a count. And that he’s not the Count from Sesame Street – different guy.) During the negotiations, the Duke takes the servant upstairs into his private art gallery and shows him several of the objects in his collection. The first of these objects is a portrait of his "last" or former duchess, painted directly on one of the walls of the gallery by a friar named Pandolf. The Duke keeps this portrait behind a curtain that only he is allowed to draw. While the servant sits on a bench looking at the portrait, the Duke describes the circumstances in which it was painted and the fate of his unfortunate former wife.Apparently the Duchess was easily pleased: she smiled at everything, and seemed just as happy when someone brought her a branch of cherries as she did when the Duke decided to marry her. She also blushed easily. The Duchess’s genial nature was enough to throw the Duke into a jealous, psychopathic rage, and he "gave commands" (45) that meant "all smiles stopped together" (46). We’re guessing this means he had her killed although it’s possible that he had her shut up somewhere, such as in a convent. But it’s way more exciting if you interpret it as murder, and most critics do. After telling this story to the servant of the family that might provide his next victim – er, sorry, bride – the Duke takes him back downstairs to continue their business. On the way out, the Duke points out one more of his favorite art objects: a bronze statue of Neptune taming a seahorse. 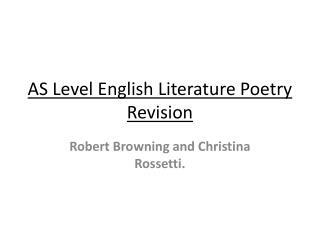 In his poem, Robert Browning uses personification and dramatic monologue. 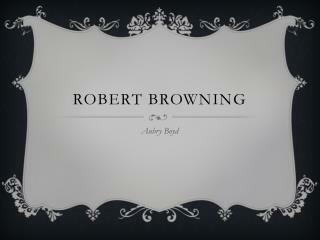 The use of dramatic monologues enabled Browning to investigate the minds of particular characters in particular places struggling with particular sets of circumstances. 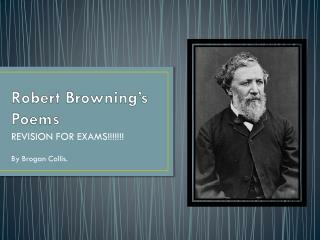 Robert Browning alarmed his Victorian readers with psychological – and sometimes psychopathic – realism, wild formal experiments, and harsh-sounding language. 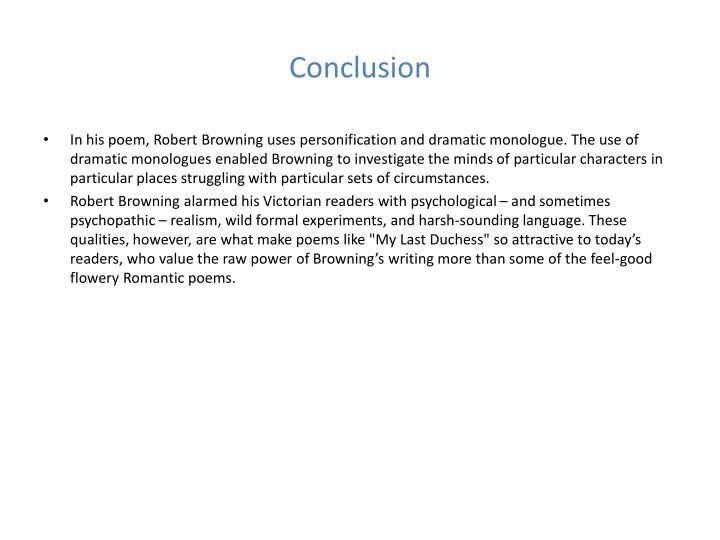 These qualities, however, are what make poems like "My Last Duchess" so attractive to today’s readers, who value the raw power of Browning’s writing more than some of the feel-good flowery Romantic poems. 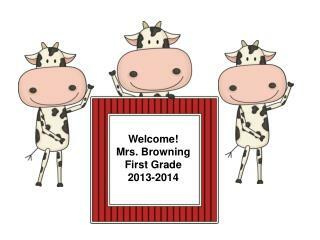 Apple Browning Project -. 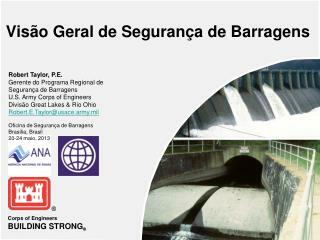 gan eng seng school presents. 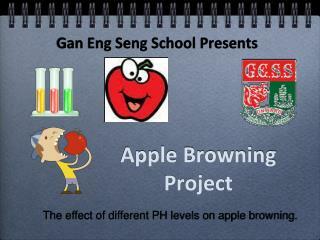 the effect of different ph levels on apple browning. aim. to determine the ph range that is most effective in slowing down the enzymatic browning of apples.